Mrs Jeppson was born in Nevada but soon moved to Utah where she attended school. She graduated from Utah State University with a Bachelors in Elementary Education and a minor in physical education and geography. Mrs. Jeppson has diligently participated in Carden training taught by Mae Carden, Mr. Taylor, and many other Carden Curriculum experts. In 1973 Mrs. Jeppson opened her first Carden School in Colorado where she was the director for five years. Eventually, she moved to Tucson and in 1980 Carden of Tucson opened. In it’s first years, Carden of Tucson was a small school with roughly forty three students who met in rented facilities at a local church. In 1984 Carden of Tucson built and moved into it’s present day site. In 1999, Carden of Tucson became a Charter School which allowed Mrs Jeppson and the faculty to offer the Carden Curriculum to more students. Today, Carden of Tucson is responsible for the education of over 130 students, grades kindergarten through 8th grade. When Mrs. Jeppson is not tutoring, teaching, cooking, and caring for the school she loves to read and enjoys being a wife, mother, and grandmother. Mrs. Jeppson believes that all children are able to learn. Her purpose in opening Carden of Tucson was to help children love learning, and to grow in their love, understanding, of the blessings of our great country! Would you like to be copied? 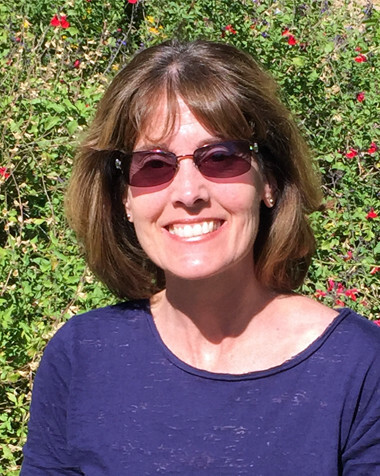 After several years as a preschool teacher in Tucson, Mrs. Ram married and moved to California where she graduated in 1991 from San Jose State University with a Liberal Arts Degree and minor in education. She worked as a first grade teacher in California until moving back to Arizona in 1992. She substituted for various school districts in Tucson and Rio Rico until teaching first grade in 1993 for the Santa Cruz Valley School District in Rio Rico, Arizona. After relocating to Tucson, she began teaching at Carden in 2000 as the first grade teacher. In 2006 Mrs. Ram went back to school to obtain a certificate in special education. At that time, she began working with the special education program while teaching first grade. After teaching special education and first grade, she became the special education director in 2014. In 2015, Mrs. Ram became the assistant director. Currently, she is the assistant director and the special education director. Mrs. Ram continues to participate in many hours of professional development each year. In 2011, Mrs. Ram was nominated for teacher of the year for the Arizona Charter Schools Association and was one of the top three candidates in the state. In her spare time she likes going to the gym, hiking and visiting with friends and family. Mrs. Ram’s belief is that children not only deserve the best education, but one that inspires them to love learning. Mrs. Martinez is a Carden of Tucson graduate. She received the Curtis award her eighth grade year. She joined the Carden Faculty in 2008 after Mrs. Hales retired for the final time. Mrs. Martinez is the Office Administrator and teaches the Algebra math class. Carden has and will always be her home away from home. She enjoys any and all sports but soccer is by far her favorite to watch/play.